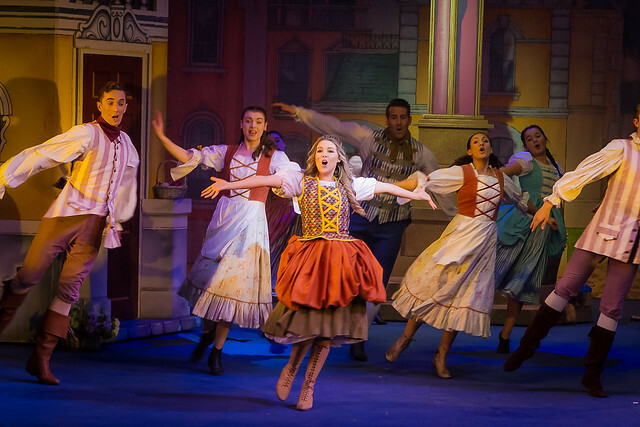 This year Poole’s addition to the pantomime season was a wonderfully magical, Cinderella. However, it wasn’t just the old traditional story as we know it, it had a rather comical yet quirky twist. There was no evil step mother, but instead two rather money hungry ugly sisters looking for an inheritance. Oh yes there was! 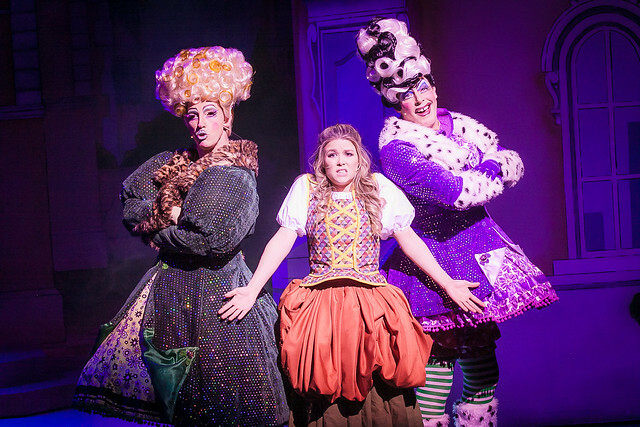 The panto’s Writer and Director, Peter Duncan did a grand job creating a playful, magical and hilarious giggle feast to satisfy the senses. From the start to the very end, we the audience laughed out loud, boo-d the nasties and sang along with the modern classics brought to life during the show. The story follows Baron Hardup and his daughter Cinderella who live in Hardup Hall with their cute and dimple-faced butler and Cinder’s bestie, Buttons. Two rather ugly sisters, Ivanka and Ivana, appear at Hardup Hall one day introducing themselves as the Baron’s step daughters, sharing news of their mother’s death and unbeknownst to him, looking for an inheritance from their step-father. The rest of the story goes the same as the classic except with the ugly sisters playing the role of the baddies. There’s dancing, laughter, tears, a prince, an extremely magical ball and wedding bells to help you get into the festive season. 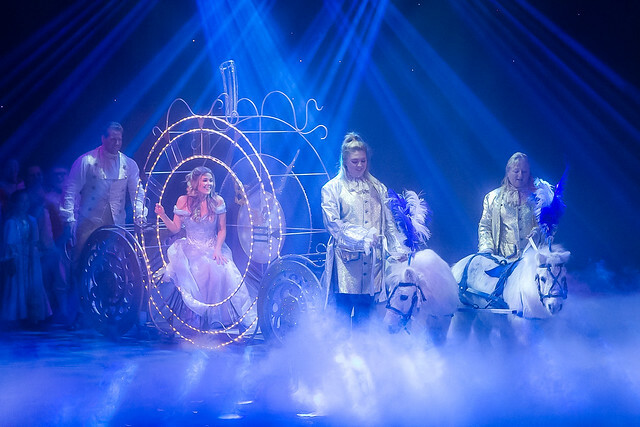 My favourite scene definitely had to be when the Fairy Godmother (Lucy Kay) appears and creates the carriage and Cinderella’s ball gown so Cinders can go to the ball. Her singing voice was also stunning. Cinderella (Lucy-Jane Quinlan) looked amazing. There was a wonderful dress change moment that was very clever and this year there was extra magic in the form of some real life white ponies. This added a stunning and extra memorable moment to the panto. The set designers (Scenic) really did shine this year. 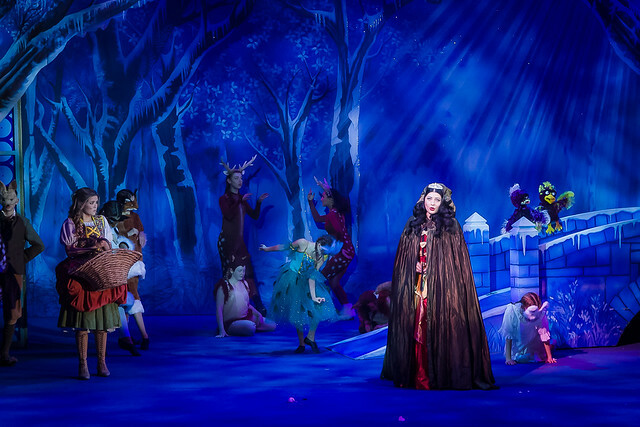 All of the sets were detailed, interactive and brought the extra magic to the panto. That is exactly what you want to see in a panto that stands above many more. My favourite characters were by far the Ugly Sisters and Buttons. Ivanka (Miles Western) and Ivana (Jay Worthy) were the perfect duo to play the Sisters. They had some outrageous outfits, their jokes were very adult (that’s what I appreciated most about this year’s show) and their banter made them both funny and boo-able. Especially the scene where they stopped Cinders from going to the ball, the audience boo-d louder than I’ve ever heard before. Which meant we all loved to hate them. Great work fellas! 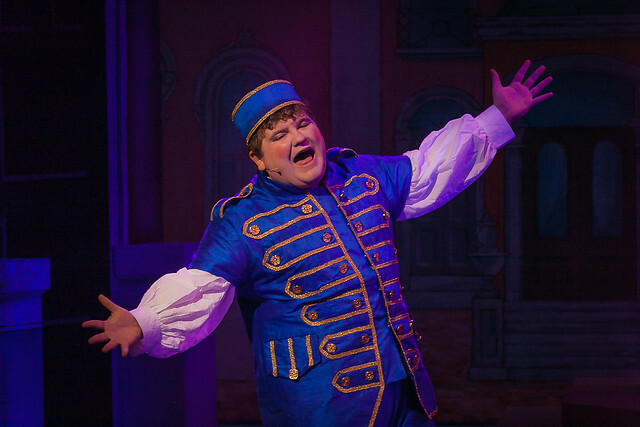 Buttons (Ethan Lawrence) was the sensitive, baby faced and a lovable butler and friend who loved Cinders, and I mean LOVE love. He was charming, funny (especially the way he sprung around the stage) and the whole audience felt sad for him when he was sad. He also helped both the audience and myself leave the panto with the song ‘How Many Legs Has Daddy Long Legs Got? Stuck in our heads for at least a day after. The music was a good selection, Ed Sheeran being a big favourite. This worked especially well at the ball. Then there was the glow in the dark monster scene which all of the kids loved (I secretly did too). The ghost scene in the woods was just the right length, making it much funnier this year around. All in all, this year’s Poole panto was a magical explosion of fun, comedy and festive marvel. I would highly recommend Cinderella for all of the family. Grab your tickets here. Don’t miss out guys!